Fasting can benefit everyone, especially diabetics. It should be in your diabetes-fighting arsenal. Fasting removes the dietary fuel for elevated blood sugars and insulin spikes. This post will discuss a multiple day water-fast and compare it with the other fat fasts of 2015. Here is the introductory post to the Water Fast. How will a water only fast compare with the true fat-fasts? I start out with a wrap up of the water only fast, and end with a summary and comparison of all the fasts for 2015. I started the Water Fast with a 65 mg/dl, I’d love this number ordinarily. However, in this case I was concerned because I’d ended previous fat fasts early due to low blood sugars. I’d decided that I would end the Water Fast if my blood sugars sank below 50 mg/dl, a mere 15 points away. I decided to ride my bike and perform intense exercise, doing 776 ‘air squats’ in one hour. The resulting 85 mg/dl at 5 pm was an expected result of an intense workout. All was good. 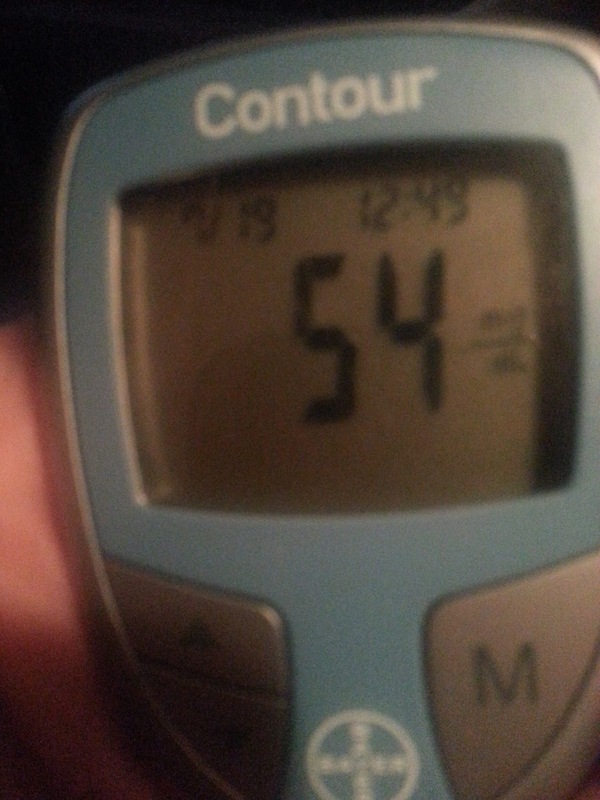 That night, before bedtime, my blood sugars sank to 67 mg/dl. I was okay with the number. I had expected a drop from the 85 mg/dl, although I was hoping for a number higher than 67. I woke up to a 65 mg/dl. Given the 67 mg/dl the night before, I was pleased. THIS WAS GOOD NEWS! My blood sugars were apparently stabilizing and I FELT GOOD! During this fast my blood sugar readings had stayed in the mid 60’s or higher! … so far. As time passed in the morning, I began feeling more tired, more groggy and a little ‘headachy’. I shrugged it off and blamed my lack of sleep the night before and the previous day’s intense exercise. Of course I knew the symptoms could be due to low blood sugars, over the last several weeks I’d grown quite aware of the symptoms. The last two fat fast experiments ended with blood sugars of 44 and 45 mg/dl. It was past time for my noon test. By now I was not feeling well at all with symptoms worsening. BOOM! … 54 mg/dl, that’s an equivalent of 3 mmol/l. Not happy. This confirmed my suspicions of sinking blood sugars. It was above my self-imposed limit of 50 mg/dl and I told friends I was going to carry on. However, a little over an hour later I didn’t feel any better. I was tired of feeling this way and called the fast off. Over the past month I’ve done three fasts (two fat, one water) and had experienced a lot of time in the 50’s and even the 40’s. I’d had enough. I called the water-fast off. Fasting is GREAT for reducing blood sugars. That is your main ‘take away’ from these experiments and why I mention it in this fasting summary. If you are on diabetes drugs or insulin and you fast, remember to reduce drugs and insulin as you reach as you approach normal ranges. Fat and water only fasts work at reducing blood sugars. The rate of decline varied somewhat but there are many factors including exercise, stress, lack of sleep, illness, infections etc. In all fasts, the reduction of blood sugars were inevitable. These results are from someone with normal blood sugars. The results should be even better for someone with elevated blood sugars. I still prefer fat-fasts to a water-fast, especially for people new to fasting. Fat-fasts are much easier to maintain eating 600+ calories of fat, especially in the form of coconut oil and butter, I do drink water and black coffee freely, in all fasting experiments. If you have elevated blood sugars, above 100 mg/dl fasting or post meals I encourage you to eat like me and to incorporate fasting into your self-treatment protocols. Here are my blood sugar goals and why… and here is my meal plan.